Qualche settimana fa mi è stata gentilmente spedita per posta una copia della rivista Tutto italiano – From Italy for Learners of Italian. Il titolo si spiega da sé, perciò non è difficile capire di cosa si tratti! A few weeks ago I was kindly sent by mail an issue of the magazine Tutto italiano – From Italy for Learners of Italian. The title is pretty self-explanatory, so it’s not difficult to understand what it is about! Tutto italiano è un’audio rivista in lingua italiana, che si può leggere e ascoltare. Infatti è disponibile anche un audio CD con le registrazioni degli articoli presenti nella rivista. L’obiettivo della rivista è migliorare il livello linguistico dei lettori e far conoscere loro la cultura italiana. Tutto italiano is an audio magazine in Italian, which you can read and listen to. An audio CD is available with recordings of the articles which you’ll find in the magazine. The purpose of the magazine is to improve readers’ linguistic levels and let them become familiar with Italian culture. – L’audio-CD è un’aggiunta positiva alla rivista perché permette ai lettori di mettere in pratica (e migliorare) le capacità di ascolto e comprensione, come anche la pronuncia. The audio-CD is a positive addition to the magazine because it allows readers to practice (and improve) their listening and comprehension skills, as well as their pronunciation. 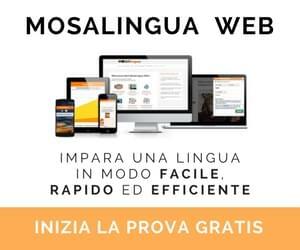 – Ogni articolo riporta il livello linguistico, così che i lettori capiscano subito con che livello di lingua devono lavorare. 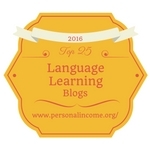 Every article presents the linguistic level so that readers can understand what level of language they are working with. – All fine di ogni articolo ci sono degli esercizi per mettere in pratica la grammatica e il lessico, come anche una lista di parole nuove o difficili con la rispettiva traduzione in inglese. At the end of every article there are exercises to practice grammar and vocabulary, as well as a list of new or difficult words with their English translations. – Gli argomenti sono interessanti e hanno l’obiettivo di fare conoscere la cultura italiana agli stranieri. E’ possibile trovare alcuni di questi argomenti anche nei giornali e nelle riviste italiani. The topics are interesting and have the aim of making foreigners familiar with Italian culture. It is possible to find some of the topics in Italian newspapers and magazines. – I numeri escono sei volte l’anno e questo permette di avere tempo per lavorare e concentrarsi sugli articoli, senza avere fretta di cominciare subito a leggere il numero successivo. Issues come out six times a year and this gives readers time to work and focus on the articles, without having the pressure to start reading the following issue straight away. – Non è per tutti. La rivista è rivolta a persone che hanno già una buona conoscenza della lingua italiana, perciò credo che i principianti avrebbero difficoltà a lavorare sugli articoli. Leggere un numero intero richiederebbe più tempo e lavoro. It’s not for everyone. The magazine is aimed at readers who already have a good knowledge of Italian. Therefore, for beginners it would be difficult to work on the articles, I think. It would require more time and work (if that’s to be considered a negative aspect!). Quanti di voi conoscono e leggono già questa rivista? Fatemi sapere nei commenti. How many of you already know and read this magazine? Let me know in the comments. Articolo precedenteTop 25 Language Youtube Channels 2015! Articolo successivoWhat does being bilingual mean to you? I found TUTTO ITALIANO about a year ago. I am just a beginner , even tho I have had 3years of Conversational Italian, but the sessions were one hour , one day a week. So I have not progressed much. I thought, perhaps, this would be a good way to increase my Italian vocabulary and listening skills. I received the first copy, and quickly realized this magazine was for those intermediate and above, and asked for a refund. The magazine itself is gorgeous. Printed on nice heavy paper, with lovely pictures. The CD is a bonus, but they speak so fast on the CD that I had a hard time following along in the reading! I think this magazine is worthwhile for those who are knowledgeable in Italian already. Wish they would come out with something similar for those of us who are just beginning our language journey. THAT would be perfect! Yes, I thought so, too. Thank you for sharing your feedback, Diane! I have been receiving the magazine since it began. It is indeed for advanced learners, I am getting there. I have mixed feelings about the contents. The stories are all rather samey so it gets boring rather quickly. I would like it to explore Italian literature more, that is sections of books, not necessarily classics, just to give it a bit more variety. The biggest problem with it is that the cd only covers a part of the contents. It is therefore largely a reading exercise and you can find a plethora of Italian articles on the web for free. The magazine is not cheap so it should be possible to have more audio. That’s my view of it anyway.